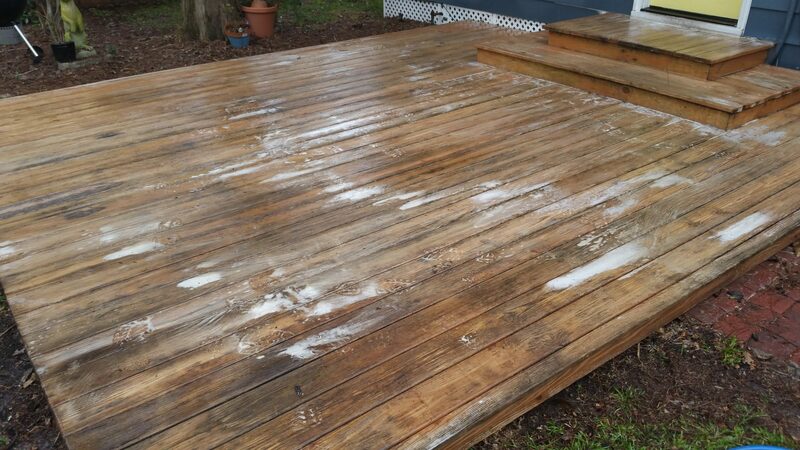 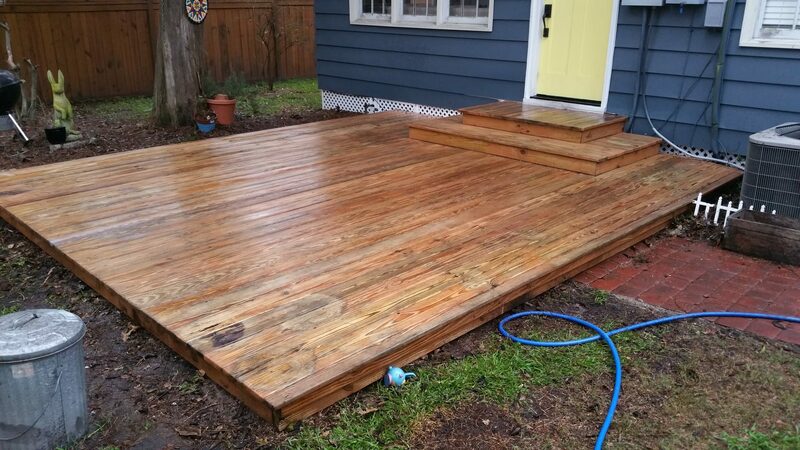 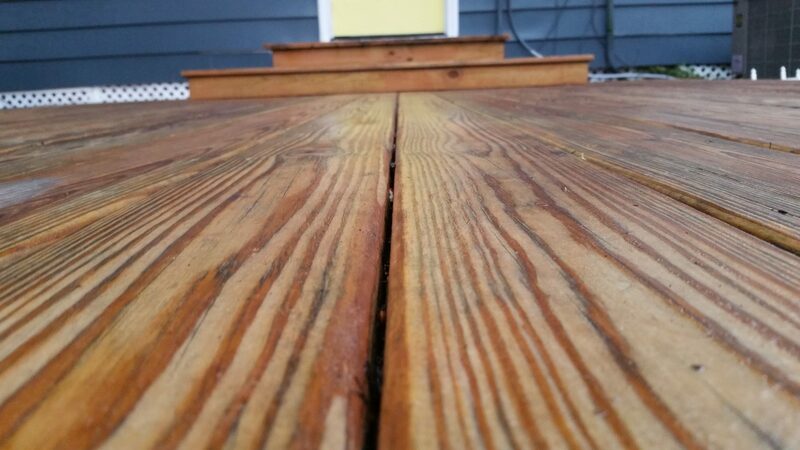 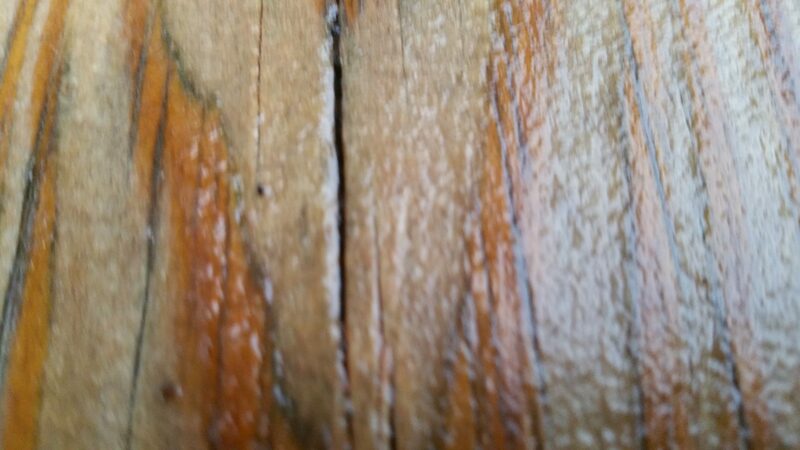 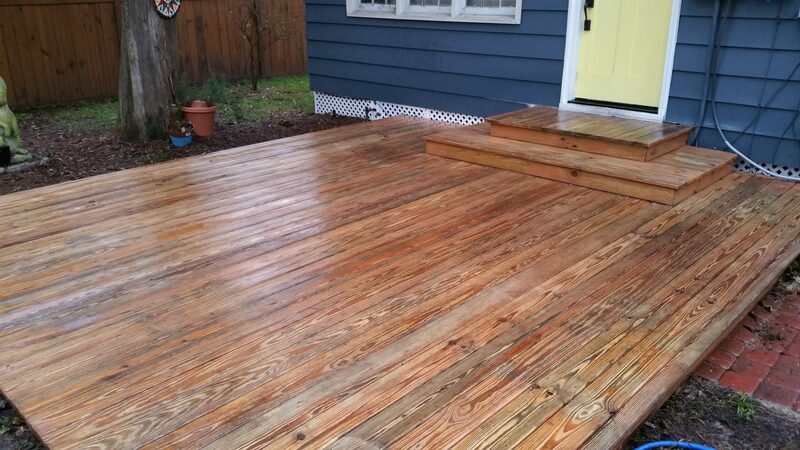 Wood Deck Cleaning Project in Savannah, GA.
Chatham Property Maintenance offers wood deck cleaning services also known as wood restoration. 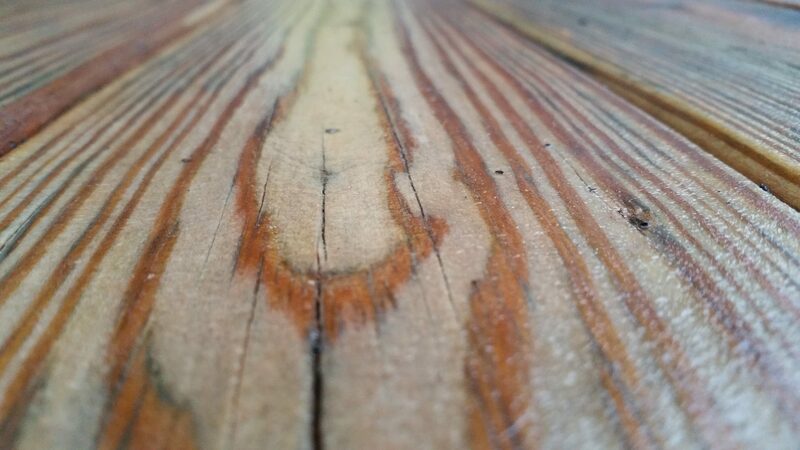 Wood is a very beautiful product when used on decks and fences, but as with any exterior product, it requires maintenance. 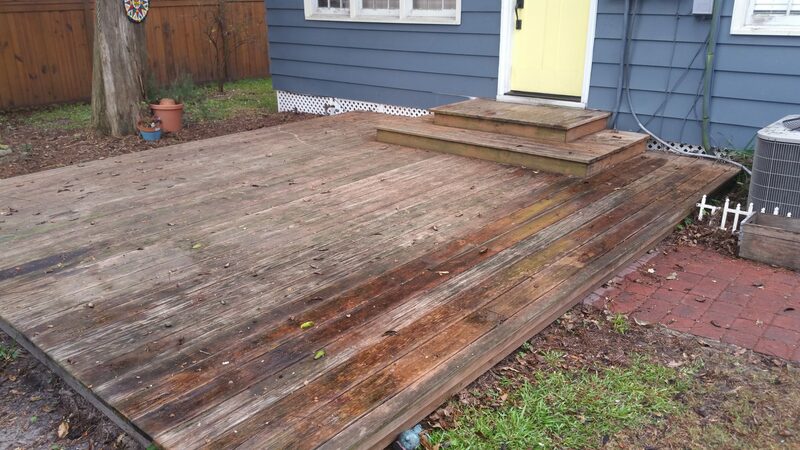 Since 2009 Chatham Property Maintenance has offered wood cleaning services throughout Savannah, Pooler, and Richmond Hill areas of Georgia. 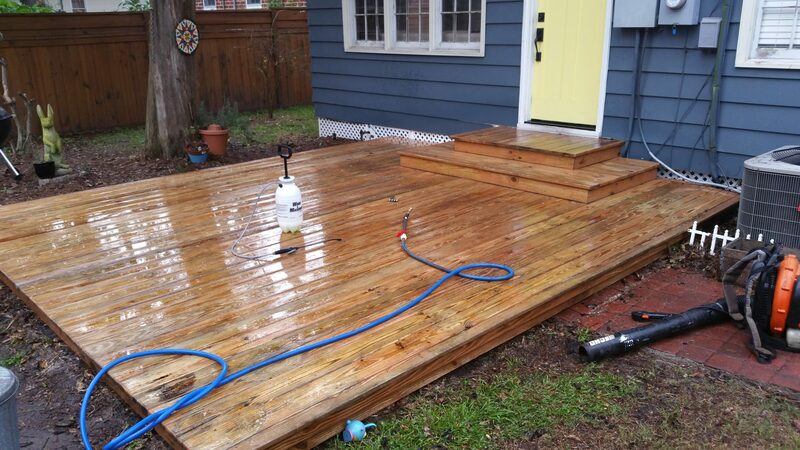 Our wood cleaning process uses a low-pressure cleaning also known as soft washing this helps prevent damage to the wood that a pressure cleaner would cause and restores the wood to its natural color. 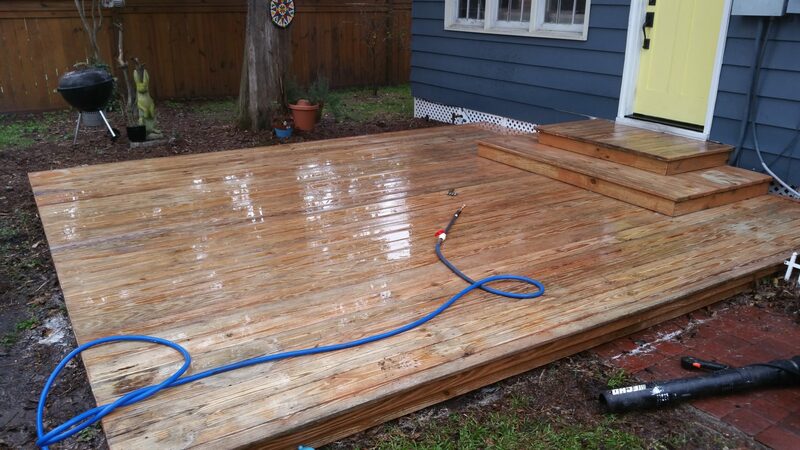 Call or text us 912-988-3832 for free estimates. 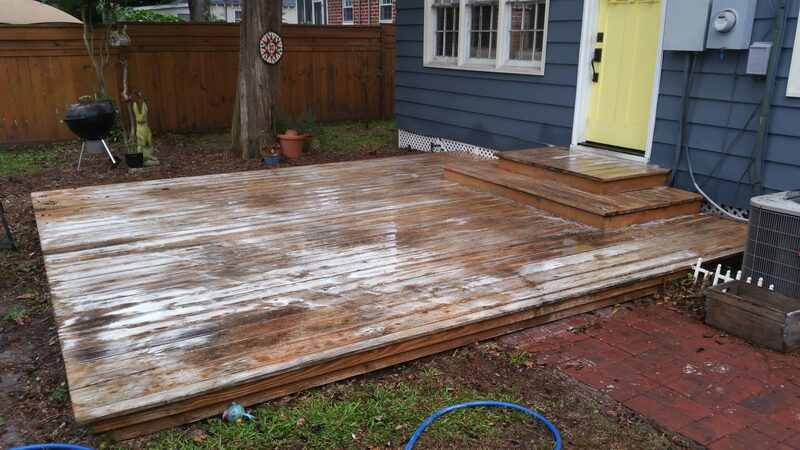 You can also fill out our estimate request form here.